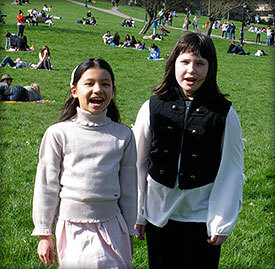 We specialise in Suzuki Voice Program and Traditional Singing Methods. 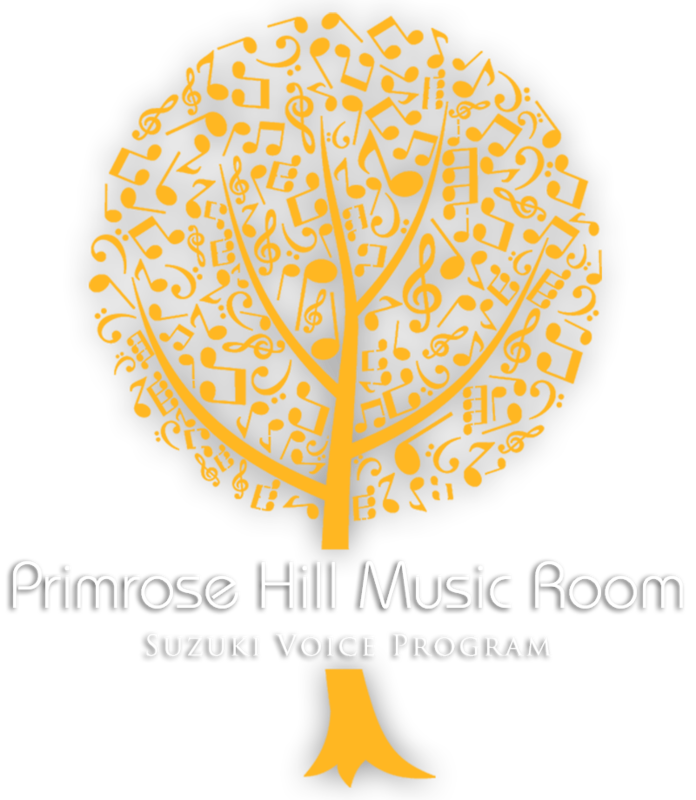 Primrose Hill Music Room was founded by Erica Shimada who is a professional opera singer. She has sung a wide variety of opera roles in many prestigious venues and is also performing regularly at music festivals and as a soloist on the concert platform. 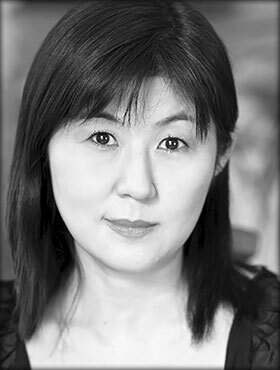 She is the first fully accredited ESA Diploma Suzuki voice teacher in the UK. Erica holds BMus, ARCM Diploma and FTCL Diploma,Teaching License of Music and is an ESA Suzuki Voice Level 5 teacher, (DBS fully checked). My passion is helping someone to express themselves through singing and opening up their heart. Singing is about connecting to something truthful from your heart. Learning the correct techniques will help you to deliver and express yourself in a clearer and stronger way. What is the Suzuki Voice Program? The program has been developed in Finland since 1986 by Dr. Päivi Kukkamäki. The original Suzuki voice students have followed in the program for 31 years already. 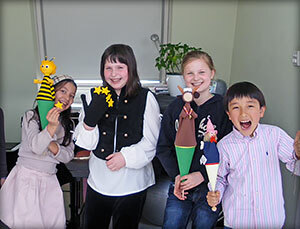 The Suzuki Voice Program teaches children aged prenatal to adulthood. It begins with the understanding that the voice is an instrument and each student’s individual needs will be addressed. 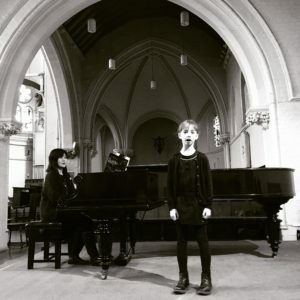 Early vocal instruction begins in groups, however all voice students progress to individual lessons at a very early age, and are encouraged to perform as soloists when they are ready. What starts in childhood is an acceptance of classical music and singing styles which are not usually introduced to students until much later. They learn to be relaxed natural singers – a great building block for the development of mature vocal students. Natural, silent breathing is encouraged and developed along with repertoire. Phrasing and beautiful tone are the main teaching points in lessons – not just learning songs. Memory and performance skills are established early and progress accordingly. As the child’s vocal skills develop, reading is introduced as a separate skill – just as you learn to speak before you learn to read, you learn to sing well before you learn to read music. Up until the age of two, the Suzuki Voice Program can be used as a method that enhances interaction between parents and children. The teacher leads the activity in lessons, and supports the relationship between the mother/father and the baby. The parents are taught the early steps of their child’s instrument. They are taught to listen and to feel comfortable singing the early repertoire. As the child becomes more independent (age 3+), the interaction between a child and a teacher increases, and the role of the parent will be more observing and supporting in lessons. Individual lessons in addition to group lessons are encouraged at this stage. The aim of the Suzuki Voice Program is to begin with simple folk songs and graduate to more challenging levels of classical songs. In this way the student learns both musical and technical skills while being introduced to a wide range of classical vocal repertoire. Listening – A recording of the student’s current pieces are listened to daily. Imitation – At each lesson the teacher chooses a section or phrase to work on and the child is taught by imitation how to sing it. Repetition – The phrase is mastered and then repeated in the lesson and, with the parent’s help, is repeated further at home before the next lesson. Children are taught early “How to practice and what to practice”, and are empowered with practice tools, including games and activities. In the 1950s Dr Suzuki developed a method of teaching children the violin in Mastumoto, Japan. His approach to teaching is based on the mother tongue, like the way that children learn to speak their own language. He also proved that all children can learn music from a very young age. There is so much to say about this method and Dr Suzuki in a very short space. There are many books and articles available about this very popular and successful method. How old should my children be to start lessons? The Suzuki Voice program is designed for prenatal to adulthood. Usually for age under 3 years old, they start with group lessons or family lessons. The Suzuki Voice repertoire is designed in a sequential manner. Each piece builds technically on what came before. An older child or adult still gains by studying repertoire volumes one and two. The program begins with simple folk songs and graduates to more challenging levels of classical songs. Because the Suzuki method trains the teacher to teach at the child’s own unique pace of development, older age beginners simply move more quickly through the early repertoire, at their own technical pace. Who is a Suzuki Voice teacher? Suzuki Voice teacher training is an intensive, lengthy and detailed training program. Suzuki Voice teacher training and certification at the international level is appropriately intensive and required for each level of training. There is a total of five training levels of increasing competency. During the teacher training program, they are additionally educated in the areas of child development, Suzuki philosophy, and building more expertise in all areas.